Tasmania, Australia’s island state is a unique gem of culture and wilderness adventure, of heritage forests and agricultural niches, pristine lakes and inspirational art. It is the home of Barega superfine and ultrafine merino. Tasmania is surrounded by the oceans of Indian and Pacific which create a natural barrier that protects the island’s biosecurity status. A closely guarded status that is clean, untouched and disease free, a status that enhances those grow, create and produce within island’s shorelines. Barega merino farm biosecurity lies beneath this protective umbrella and specifically about further strengthen disease prevention within the property boundary and the region. Barega, an aboriginal word meaning the wind, lies with in the northern midlands of Tasmania between the mountain ranges of the Great Western Tiers and Ben Lomond National Park to the east. 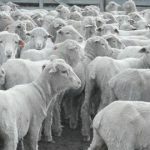 A family farm of 100% merino, comprising of self- replacing flock specialising in super soft ultrafine merino, breeding easy care new superfine merino and low fat merino lamb. A dryland grazing property with low input system uterlising a diverse toolbox to balance the health needs of our land and our merino sheep for a healthy landscape and ecosystems. We have always been aware of the importance of biosecurity from our backgrounds in health and meat industry. We started with good basic animal health and welfare soon realised that we needed to include soil biology and the environment. 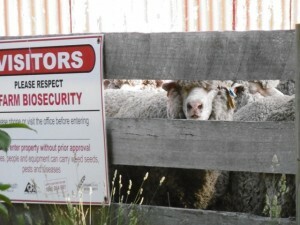 Over time farm biosecurity awareness has increased from an internal focus to looking beyond the farm gate to include what is happening with our neighbours, our region, state and country. Often increased awareness was learnt the hard way, not asking the right questions or information was incomplete when buying stock. We have inadvertently bought in stock with diseases like footrot, lice and quite possible ovine johnes to name a few. We noticed our saxon merinos had some ongoing health issues with internal parasites and fly strike that necessitated a breeding change with new genetics toward a new easy care superfine merino with an innate resilience and high immunity. In more recent years, industry bodies have regulated for increased transparency from the pr oducer for ongoing documentation and accountability of treatments and applications administered to animals, on animals and the food they ingest. Biosecurity awareness is a heightened state of mind that allows us as producer specialists to tailor and adapt our responses to our specific individual and regional biosecurity needs. The Livestock Biosecurity Network is freely available and up to date resource with local contacts for help and assistance. The health and welfare of our merinos, grasslands, and landscape are intrigual and pivotal to our enterprise. 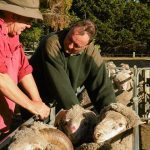 Their combined health is reflected in the truly wonderful and natural ultra-soft merino fleece these relationships produce, so the importance of Barega farm biosecurity is paramount. Our ultrafine and superfine merino is destined to be worn next to your skin, to cocoon your baby and sooth your body and that merino fibre needs to be a pure as nature can provide. Barega produces chemical free non mulesed merino and biosecurity is about protecting the health of our merino and our ecosystems on farm and regionally. Barega Farm biosecurity is about identifying disease risks to our enterprise, reducing those disease risks and or exposure to disease and being proactive with a property biosecurity plan. Maintaining good animal and plant/soil health is important to optimise natural immunity as first line of defence. We use a diverse range of measures including integrated pest management, a toolbox approach to farm health where possible. Tools we use include herd effect in pest plant control, regeneration and shelter belts for housing beneficial insects, birds and wildlife, rotational grazing system for plant health and encourage plant diversity, minimal to no till pasture renovation, compost teas and inputs that encourage an active soil biology. We are proactive in our approach toward disease prevention through good vaccination programs, strategic feed supplementation and treatments, low stress stock handling, match peak stock demands to peak growing periods. 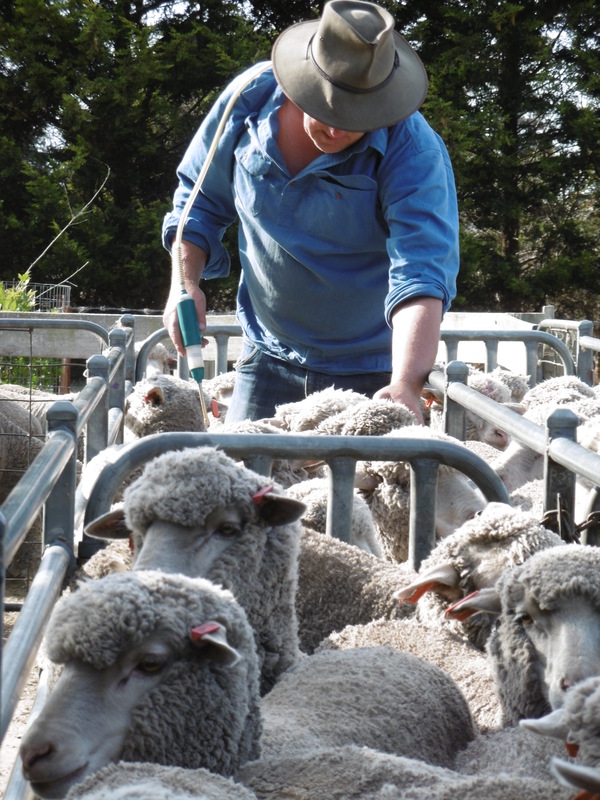 Merino rams with specific traits in their Australian sheep breeding values, (ASBVs) to are selected to drive change toward a robust sustainable merino, to read more click here. Deep plain bodied superfine merino with high worm resistance, their wrinkle free skins producing non mulesed and disease free merino fleeces. Risk assessment, disease prevention and monitoring are some of the proactive measures used as part of our on farm biosecurity. Its about ongoing surveillance and being always vigilant and questioning any deviation from normal. Aware of signs of ill thrift or disease change in lambing percentages or weight gains, wool strength and cut, feedback report analysis and managing stray animal incursions. Our four season climate and impact on the our environment is constantly changing. Keeping the ecosystems and the landscape healthy we monitor grass growth is monitored ensuring good ground cover, plant density and diversity, rainfall and temperature anomalies. 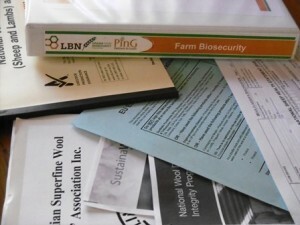 Our goal is prevention but when there is biosecurtiy breach or disease breakdown the action is prompt with planned farm biosecurity plan processes followed. Barega biosecurity processes are dynamic and change to meet new challenges and risks over time. These on property changes are often simple and easy to implement if they form part of a properties biosecurity plan. Increase reticulated water toughs and reduced water holes to decrease the risk of spread in a footrot incursion. Areas of the property have been securely fenced to be able to securely isolate a flock during a disease threat or outbreak. We regularly monitor which includes testing in areas of increased risk or under performance. Results are reviewed and used for change, for example, to improve or upgrade an on farm vaccination program or use genetics and ASBVs to push a trait change in a particular direction. We review feedback reports from our various accreditation schemes, they tell us if we are doing a good job or it may highlight problem that we have been unaware of. The most recent change is to join a community based biosecurity program and become a collaborative member for the benefit of our farm and property owners in our community. At Barega merino we look closely at repetitive problems, ask what changes are needed to minimise or element this disease or threat. To do nothing is not an ethical option, the costs only increase the longer and wider the spread of the untreated disease along with declining health and increased severity of treatment. We have a duty of care and those responsibilities are reflected in our National Biosecurity Livestock Reference Manual, our state animal welfare acts, and industry accreditation schemes. 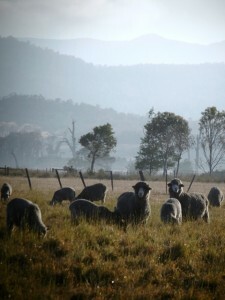 We are passionate about the health and welfare of the merinos, soil biology and our eco systems. We embrace farm biosecurity as it protects and supports the continued welfare of the environment that nourishes the ultrafine and superfine fleece of our merinos. We wish the barega merino you wear next to your skin or clothe your baby to be ethical, an experience that is a reflection of our merinos within their protected and sustainable environment in Tasmania, Australia.